We’ve got three new tracks for you this week, from the smallest to the biggest of Brighton bands. Brighton’s biggest band of the past few years are back. Rizzle Kicks return with Lost Generation, and a video sponsored by O2. When did videos start to get sponsored? Today sees releases from two of our favourite bands at Brighton Music Blog. We’ve featured videos from both releases on the blog before, but these have appeared online so far before the release date that it’s worth reminding people about these again now that you can go and actually buy them. 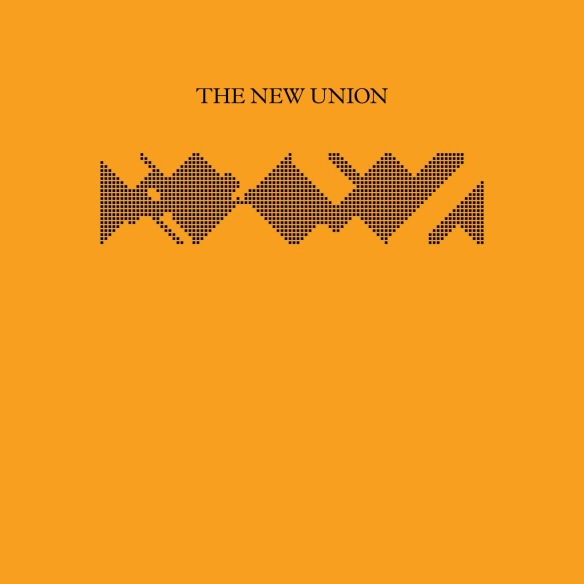 The first is The New Union EP, by The New Union, on Two Sisters Records. The EP features four tracks – Staying Friends, Rushing Thoughts, Where Do You Think You’re Going Wrong and Forget Again – and is out now on iTunes, or on 12″ from the likes of Resident Records. The band are holding the single launch at the Book Club in London on Thursday for this release, but you’ll be able to catch them in Brighton again soon supporting IYES on 24th July at The Hope. Get your tickets early for this gig, because with a line up like that, it WILL sell out. Hopefully we’ll have an interview with the band to share with you before then. Today’s other release is Hairstyles by Milk & Biscuits. 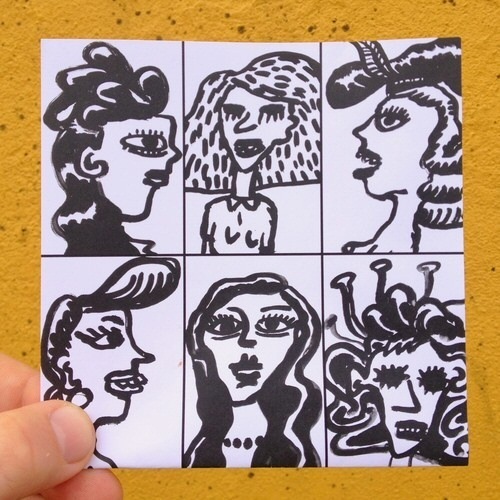 Hairstyles is released on Big Salad Records, and is download only, available through iTunes (and probably some other places, although when this was written details weren’t confirmed). Milk & Biscuits play next Brighton gig is on 22nd June at the West Hill Centre. As promised in our most recent post about the Boon Magazine launch, as soon as we’ve heard details of the forthcoming New Union single, we’re letting you know. Better than that we’ve got the video too. Staying Friends is another slice of cool guitar pop, and is released on June 3rd on Two Sisters records, coming out on limited 12″ and download. 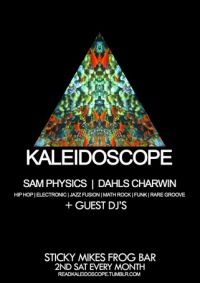 Normally midweek I put up a post about gigs that have caught our eye in the upcoming weekend. This week, I’m making an exception and writing a whole post about three gigs taking place on thursday night, all of which look fantastic. The first of the three is Brighton Music Blog favourites Moulettes, who are playing at The Haunt. Moulettes are a fantastic band, but it’s not until you see them live that you truly appreciate how great they are. Support comes from local act The Slytones (who we’ve still yet to catch), and Robert Vincent. AKDK were one of our favourite acts at this year’s Sea Monsters. Their new single Battersea is out soon, so to celebrate they’re headlining this month’s Source New Music at the Dome Studio Theatre. Support comes from DA-10 (who were also brilliant at Sea Monsters), Dog in the Snow and George Lazenbleep. Last, but by no means least is another launch, but this time of a magazine rather than a single. Boon Magazine say that they’re going to feature music, fashion, photography and culture. The launch takes place at the Green Door Store, and is headlined by The New Union. There’s also going to be a burlesque dancer, and more music from Demob Happy, Kill Moon and Spit Shake Sisters. Yesterday The New Union supported The 1975 at the Green Door Store. It’s the first time we’ve caught them in a few months and in that time they’ve been working hard on new tracks up in studios in London. You can hear the effect of working with a producer – Richard Jackson now uses two mics to bring more depth to the vocals, there’s more reverb all round making their sound even bigger, and where last year a New Union gig would be half an hour of urgent adrenalin filled songs there’s now some slower numbers too. The New Union are growing up and sounding bigger and better than ever.